Related Realty has announced it is providing each of its 50 agents with a one-year membership in Giveback Homes, a group of philanthropic real estate professionals that partners with nonprofit organizations like Habitat for Humanity Chicago, to build homes for families in need. The firm-wide affiliation makes Related Realty the first Midwest brokerage to partner with the Manhattan Beach, Calif.-based organization, continuing Related’s broader commitment to social responsibility at both the corporate and individual level. In addition, Related Realty has teamed up with Giveback Homes and digital marketing agency Adwerx to launch an “Agents for Change” ad campaign, through which Related Realty will assume the cost of a custom campaign for each broker, with 10 percent of the buy donated to Giveback Homes to fund future home builds. 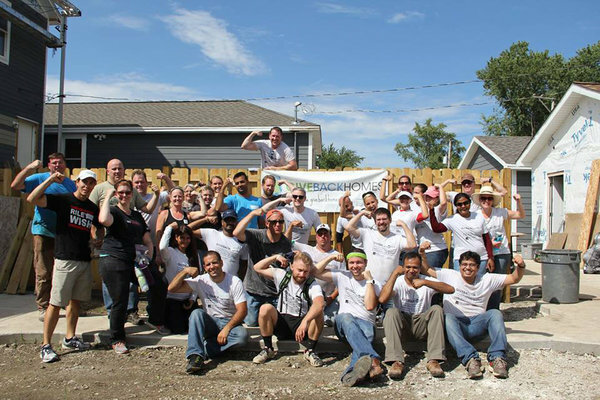 Related Realty’s Gary Richter was the first Chicago-area broker to join Giveback Homes when the organization entered the Chicago market in early 2016. “I’m thrilled to have gotten the ball rolling here in Chicago and proud that Related Realty has taken the lead in expanding this life-changing program by becoming the first local brokerage to partner with Giveback Homes,” Richter said.